Non-Clog Wastewater Pumps are fitted with swing check valves and easy access clean-outs. 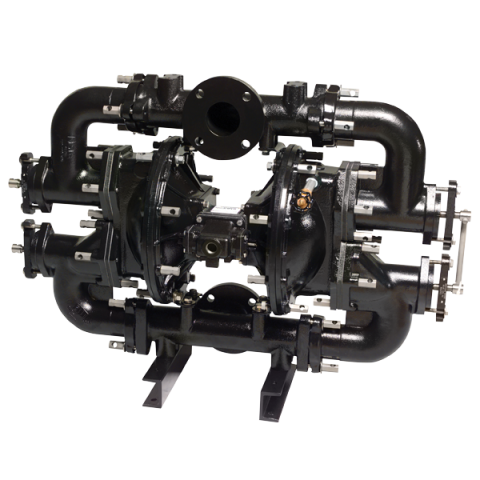 These air operated double diaphragm pumps are designed specifically for slurry and solids-laden materials. Flap valves allow passage of suspended, pipe-size solids and stringy material. Constructed of cast iron and durable epoxy coating inside and out. Click here for W15 Wastewater Pump Data Sheet.